GE Tracker Graphing update + Christmas Giveaway! We've done a slight overhaul of the item graphs over the past few days and have added some new functionality! There is a new options button on the price graphs that will allow you to customise your settings slightly. 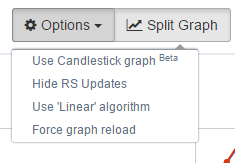 Hide RS Updates - by default, the Old School RuneScape updates would be displayed on the graph - you now have the option to turn this off. Use Linear algorithm - the default graphing algorithm has been set to 'log' (previously: 'linear') as our testing has shown the graphs are much more accurate with this setting. If you wish, you can swap back to the old algorithm. Force graph reload - have you noticed on occasion your graph will play up and plot too many points? You now have the option to flush the caches and reload the data. At the bottom of a graph, the high/low prices for overall, buying and selling prices will now be displayed for the duration you are viewing. This should benefit the users doing overnight flips and bot dumps. This has been a requested feature for a very long time (hasn't it BenefitsOfaG! ), and we feel it's something that will really give GE Tracker merchants the edge over others in-game. A candlestick chart is used to show an opening and closing value overlaid on top of a total variance. Candlestick charts are often used to show stock value behaviour. In this chart, items where the opening value is less than the closing value (a gain) are drawn as filled boxes, and items where the opening value is more than the closing value (a loss) are drawn as hollow boxes. 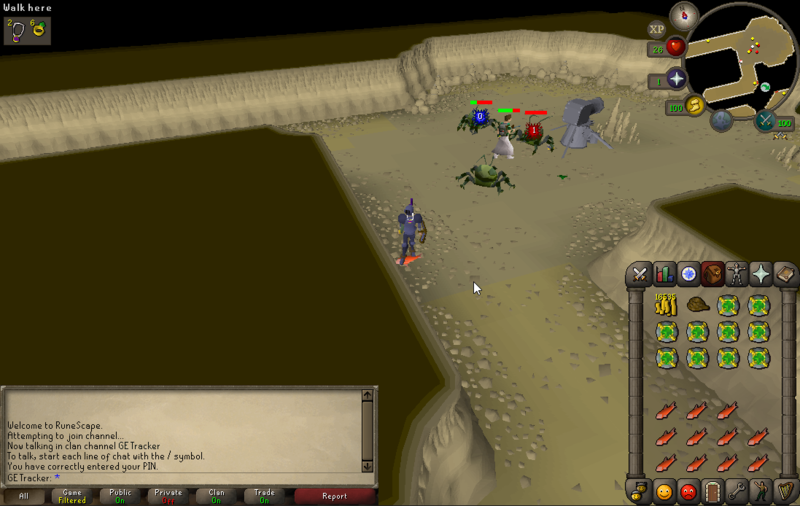 We like giving back to our users at GE Tracker, so we have a total of 11 Old School Bonds (and 11 salmon) to giveaway! 8 bonds will be given to Premium subscribers, and 3 to standard users! Each ticket will give you a chance to win, to make sure you're subscribed!